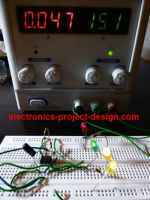 This electronics design contest is produced & owned by Tech Briefs Media Group. It is sponsored by COMSOL, Inc. and Mouser Electronics. The contest is open to all students, engineers and anyone who is 18 years and above. The objective of the contest is to encourage the participants to innovate new product ideas that will help the society in particular and the economy in general. It is also the objective of the contest to generate ideas that will help to reduce our dependence on fossil energy and better healthcare products. The contest will run from March 1, 2019 to July 1, 2019 with winners getting the cash prize of US$20,000. There are 7 categories from which you can choose to participate and the winners in each category will get a prize which will be announced soon. 1) Consumer Products - products that bring convenience in our workplace, on the road and homes. 2) Electronics, Sensors, IoT - products that utilize the latest electronic components and system including the Internet of Things. 3) Manufacturing, Automation, Robotics - products that improve manufacturing, scientific work processes and research & development. 4) Medical - products that improve the quality and efficiency of healthcare. 5) Aerospace and Defense - products related to the aviation and defense industry. 6) Sustainable Technologies - products that reduce the dependence on non-renewable energy and promote the use of environment friendly materials. 7) Automotive/Transportation - products that deal with movement of peoples and goods. Hence, if you have an interest in design and are above 18 years old, go to Create The Future contest website for more information and start the registration process. Join this contest that many electronic enthusiasts and hardware designers will join to help compete and build a better future. There are 5 themed rounds that you can join with the Grand Prize winners getting $50,000. The second to fifth placing will get $20,000, $15,000, $10,000 and $5,000 respectively. The top 100 entries will each receive $1,000 cash prize. If you are between 13 and 18 years old, you will need a parentage consent to join this contest. Here are the five themed rounds each lasting 6 weeks. The first challenge is basically coming up with an idea to solve a problem today. The other 4 challenges will require you to build prototypes and proper documentation. Get more details and entry requirements here. The objective of this contest is to encourage creativity in the integration of MEMS and mixed-signal CMOS blocks more so in the areas of Internet of Things(IoT), cars and phones. You will definitely learn the various tools that are used in designing the cutting edge technology. Cash prizes and the opportunity to attend the CDNLive EMEA 2018 in Munich are in store for the prize winners. Calling all college students and engineers. Join this contest and get your design 3-D printed in the ISS. Mechanical and electrical design knowledge will be necessary. This contest is organized by Mouser and Made In Space. Closing date is Oct 7, 2016. If you are a university student studying Bachelor Of Electronics/Electrical Engineering or Computer Engineering, you may want to join this contest which you can now register. Registration will close on March 31, 2016. Individual or team participation is available. Here are the categories that you can join. Winning teams will receive a drone for each member. Get more details and register here. Consider joining this contest if you are an undergraduate or graduate engineering student studying in the USA, Puerto Rico, Canada (excluding Quebec) or Mexico. This contest will help you use your skills in electronics design together with TI devices to come up with the best entry. Individual or team participation is available. Register to join the contest at TI contest website.